Online Application Details for Airport Authority of India AAI Recruitment of Consultant is given below. Candidate's minimum education qualification for the Vacancies in Airport Authority of India AAI should be Graduate / Bachelor Degree in any discipline . and candidate should be retired official of State Govt. / State PSUs preferably retired Revenue Official (RO) or above rank, Land Surveyor or other official of equivalent rank of the State Govt. 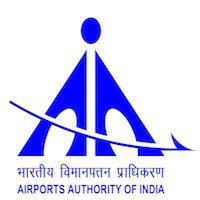 Selection for the post of Consultant for job openings in Airport Authority of India AAI is based on Personal Interview. Application form and duly attested documents are to be sent to G. S. Jaiswal, Dy. General Manager (Land Management), Eastern Region Headquarter, 3rd floor, New Operational Building, NSCBI Airport, Kolkata – 700 052 or e-mail: jaiswalgs@aai.aero. In envelope super scribed with 'Application for the Post of Post Name'.